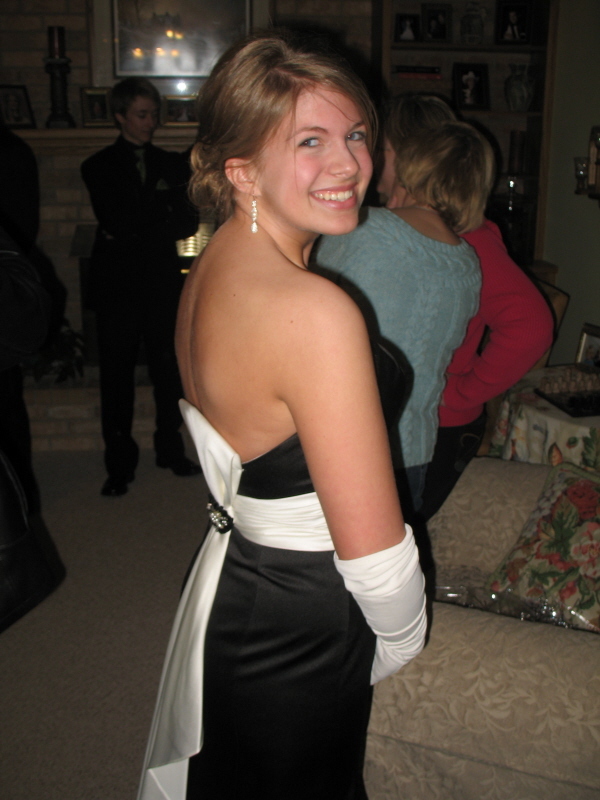 My 17-year-old daughter went to her junior prom last Friday night. The weather was miserable, but the smile on her face is indicative of how she felt as she crossed the prom milestone. When I was married, my former father-in-law said that even though expensive, he’d spend the money all over again in a show of love and support of his daughter (and me, at the time). Now I kinda know what he was talking about. While my daughter’s mom and I shared in the costs of her first prom experience, there was a great amount of pride in watching her cross this threshold. One step closer to adulthood. One foot further out the door of the protective households we’ve tried to provide to her. One more stab in the gut as a reminder that in just over a year she’ll be in college and completely out of our purview. These are heady days as parents. As a father of someone with such potential, the letting go part is both excruciating and exciting. Today I met with an editor I’ve worked with off and on for the past couple years. In addition to my day job, I’ve found it helpful to write on topics totally unrelated to the medical device industry. 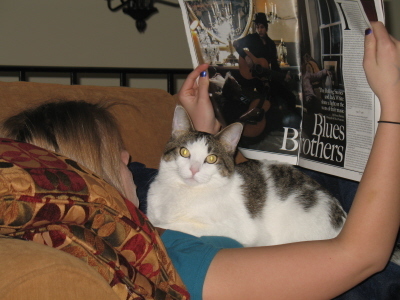 The freelance work I do gives me a chance to write about the environment, jazz music, fundraisers, and other topics. It’s a great outlet and it pays a little bit along the way. My editor, though, is moving on to a new publication. While I wish her well, I also hope my occasional freelance projects don’t dry up entirely. Note to self: keep writing. 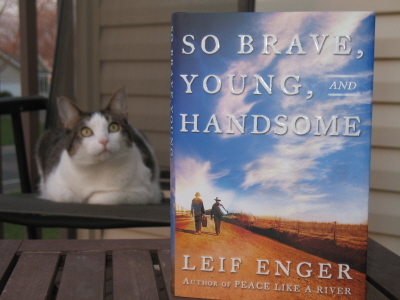 That was the message Leif Enger passes on both through his latest novel, “So Brave, Young, And Handsome,” and in his remarks made at the book signing I attended last Friday. If you didn’t read Enger’s first novel, “Peace Like A River,” go grab it up while you’re buying a hardcopy of “SBY&H.” Enger’s a Minnesota guy who cut his teeth writing feature stories for Minnesota Public Radio. A friend of mine, also an Enger fan, described his style perfectly when she said, what a joy it is to read something that is not just written well, but is truly art. Yesterday, April 9, I read about Randy Pausch and his “Last Lecture” at Carnegie Mellon University (yes, sometimes I feel like I live under a rock). But, thankfully, I read the New York Times and journalist/reporter Tara Parker Pope’s article about Mr. Pausch, which drew me in. I was hooked on his concept of living life fully based on the dreams we established for ourselves as children. Then, last night on ABC Television, the network aired a story in which Diane Sawyer interviewed Mr. Pausch and discussed his mind set behind not only the development and delivery of his Last Lecture, but about his thought process on how he lives joyfully each and every day – even at a time when he knows he’s going to die. Let’s face it, we’re all dying. But Pausch learned he had pancreatic cancer in the Fall of 2007 and was told he only had three to six months to live. That was the impetus for his “last lecture” at Carnegie. If you haven’t seen the clips on YouTube or read the transcript, do it; do it now. It’s not morose. It’s not “oh, woe is me. I’m dying and I’m only 46 years old…life’s not fair.” In fact, it is quite the opposite. From his childhood dreams, Pausch conveys the importance of living and living well. Developing friendships and nurturing them, challenging those around him to be their best, to take risks. As a professor, Pausch taught and mentored thousands of students. Through his work he touched the lives of thousands of people and what resonates so clearly for me in reading the lecture and hearing his story is that each person he has touched remembers and has somehow reflected back on him in countless ways. There are few people on the planet who have that kind of impact on others. 2) Accept criticism, because it means someone still cares. 3) Realize that experience is something you get when you didn’t get what you wanted. 4) Get through the brick walls. Brick walls are in place to keep out the others who don’t want it as badly as you do. 5) Wait long enough and people will surprise and impress you. No matter how angry you might be at someone, give it time. There’s more to the story beyond my few hundred words here. In fact, there’s so much to Pausch’s Last Lecture that he’s written a book about it…a book I plan to buy today – several copies in fact, so I can share it with friends and family. Most importantly, the Last Lecture, as Pausch so adeptly states, isn’t for the masses. It was for his three children. But through it, his story and philosophies on living have already touched the lives of millions. On Thursday nights in my city, in the downtown shopping district, live music can be heard while venturing to and from all the big box chain stores. We were there last night, my son, daughter and myself, back-to-school-shopping at American Eagle. On the way to the store, I had to stop and listen to a local musician do his cover of “Don’t Stop Believin'” by one of the greatest bands ever, Journey. It was entertaining. No matter where you go in the world, audiences listening to this song inevitably know the words and sing along (sometimes loudly). I have to admit though, I wrote this post on Journey and Steve Perry some time ago and it continues to be one of the most-read posts on my blog. That’s…a little peculiar in my book. My last random thought for today is about death. With the recent bridge collapse in Minneapolis (oops there I go, mentioning that disaster again), a section of a book I’ve been reading has knocked down an old rule of thumb that I’ve always held onto when it comes to death. My rule of thumb? Avoid death for as long as possible. The author of this book I’m reading, however, suggests that in order to really live life, we must embrace death. It is, afterall, inevitable. So if we can learn to accept the fact that today we could die, it will enable us to live each day more fully without the worry or fear of dying looming behind our shoulder at all times. I’m not sure that I’ve bought into this theory entirely. But it is food for thought. I remember vividly a summer day in my hometown of Spencer, Iowa, when my ultra-religious grandma was visiting. My cousin, who has commented on this blog from time to time, was visiting me as well. We were hot after getting downtown to go to Krazy Days – a big sidewalk sale held every year on mainstreet. But grandma cornered us and was giving us the usual, “Have you given yourselves up to Jesus,” speech.